The Carboncopies Foundation is a 501(c)(3) non-profit organization that provides support to scientists working on challenges critical to whole brain emulation (WBE). We believe that the possibilities and opportunities afforded by WBE represent the most promising technological path to overcoming our fundamental limitations as a species and as individuals. The human experience thrives on the capabilities of the human brain, but is also constrained by those same capabilities. Our most human quality is our resourcefulness, our ability to learn to understand ourselves and the universe we are in, and to create and to improve both our environment and ourselves. We wear clothes, we live in houses, we teach our children, we heal the sick. Consequently, we live longer and better, and can do and experience far more than our ancestors ever could. We overcome natural limitations. And yet, what we are personally aware of, what we can understand, where and how we can live, and what we can accomplish are still determined by an evolved body and brain that fit a niche in the early Pleistocene, 2.5 million years ago. Although our machines can do such things – we cannot reliably and accurately remember, we cannot think in 15 dimensions or process events at microsecond temporal scale, any more than we could survive in the vacuum of space. The machines we design can be upgraded, a program can be moved to a better processor, but the biological brain is not equipped to be backed up or to be fundamentally improved. As progress in the field of neural prosthesis shows, if we can record details of brain structure and activity, then we can produce a system that has both advantages: 1) human brain function, and 2) the ability to safely back up its state and to upgrade its fundamental design. Ultimately, this means that we can reinvent our own mental processor, and that we can close the gap between human and machine. Our cognitive processes are then no longer tied to a single version of the brain’s processing architecture. Instead, our thoughts and feelings will be able to exist on a variety of processing substrates. In that sense, we then have a substrate-independent mind (SIM). With advances in neuroscience and neural engineering we will be able to choose brain and body, much as we can choose winter or summer clothes to suit our needs. In science fiction, this possibility has been lightly explored in stories that involve ‘mind uploading’. Neural prosthesis and whole brain emulation require accurate computational modeling of neural tissue, as well as developing neuromorphic hardware that is better suited to efficiently support the processes carried out in a neural architecture. We still have a long way to go. Essential advances are needed in the domains of neurobiology, neurophysiology, brain imaging, micro- and nanoscale technology, computational neuroscience, computing hardware, and even philosophy of mind. We have already made strides. 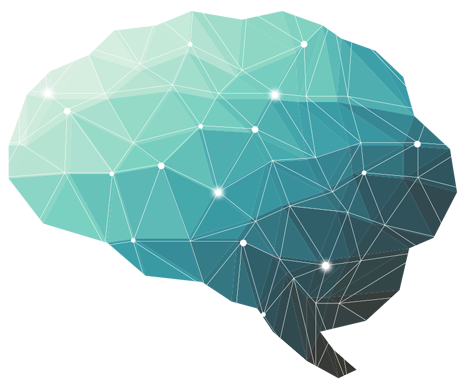 Looking at the years since the Carboncopies Foundation was first established in 2010, the possibility that the brain can be mapped and understood sufficiently for brain emulation has not only been accepted, but has grown to become an inspiration for the research goals of numerous scientific labs and collaborative projects. Steady progress is being made today on the scientific and technological challenges. If you share our vision and would like to get involved, we encourage you to join our volunteer team!